All Natural Healthy Chocolate is made from the finest ingredients that are mostly organic. 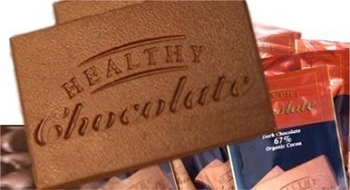 Healthy Chocolate contains no sugar, as sugar interferes with the sugar - insulin balance of the body. Sweetened only with natural sweeteners (Xylitol, Bioflavonoids) and is enriched with herbs that promote health, weight loss, and blood sugar control. chocolate its smooth, solid texture). This product has NOT been reviewed nor endorsed by the Diabetes Research Institue (DRI), this product is not affiliated in any way with DRI.